"The Audi Sport Quattro was a Quattro programme car developed for homologation for Group B rallying in 1984, and sold as a production car in limited numbers. 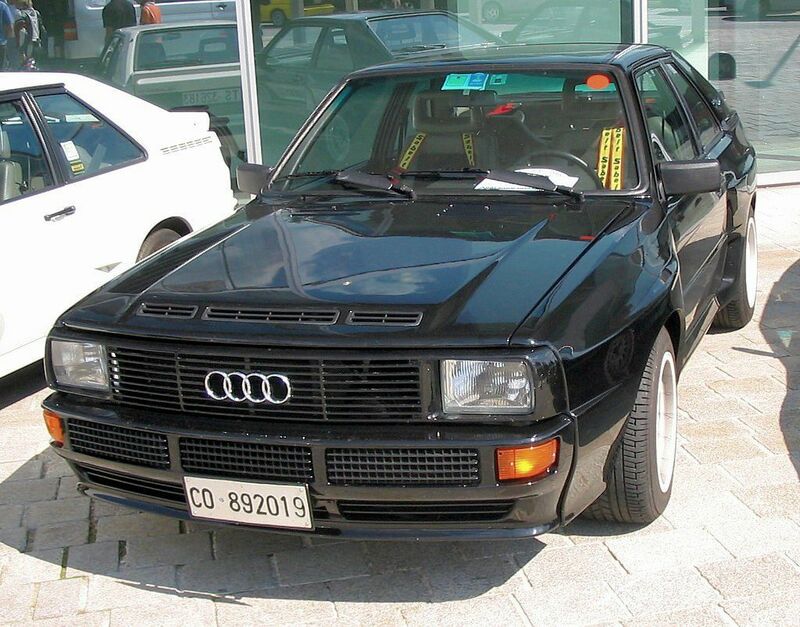 It featured an all aluminium alloy 2,133 cc (130.2 cu in) (2.1 L) 20v DOHC engine slightly smaller than that of the Audi Quattro (in order to qualify for the 3-litre engine class after the scale factor applied to turbo engines). In road-going form the engine was capable of producing 225 kW (306 PS; 302 bhp), with the competition cars initially producing around 331 kW (450 PS; 444 bhp)." Oh yes, the real Quattro! I would not kick it out of my garage! Yes, a very cheap route to go for one. I will just have to live with my humble street car. Spotted yesterday crusing down North Reserve....nice car. Now in the process of making one, as a real one is unobtainable. More or less were going for the S1 style replica. found a full wide body kit from a company called pro speed, search pro speed S1 on youtube for a good time We are in search of any 5cyl 20vt wether its the 3b or AAN whatever we can get our hands on, as well as a 4000 quattro donor car. First steps will be shortening the car the 320mm (its close to that maybe not actual figure) followed by a complete floor swap from a 4000q to make it quattro. This will be a long project but we should be getting on it rather quickly.